Celebrating 40 years of Books Ireland, this special anniversary issue boasts a bumper 72-page spread and bonus features, along with a host of guest reviewers. We publish the winning stories from the inaugural Books Ireland/IMRAM short story competition: ‘Restoration’ by Aoife Fitzpatrick and ‘Deireadh’ by Antain Mac Lochlainn. Professor Ruth Dudley Edwards casts an eye over the flurry of books published to commemorate the 1916 Rising. 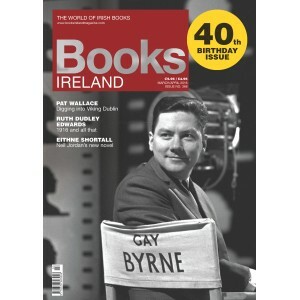 Editor Tony Canavan marks 40 years of Books Ireland as we pull up some treasures from the archives for a trip down memory lane, while long-time contributor Rory Brennan is prompted to reflect on the art of reviewing books.